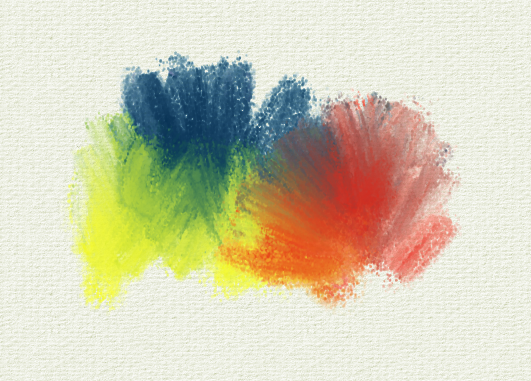 The pigment / paint mode is now default for all brushes and new layers. In case some don't like this, or it's too slow, set the Pigment slider off from the Tools Options Panel (can be enabled from the Edit menu), and change the layer mode to Normal. Also, a new brush pack, called Dieterle, is available with the Linux AppImage binary (it was not included yet with the Windows binary but it can be downloaded from the GitHub releases page). 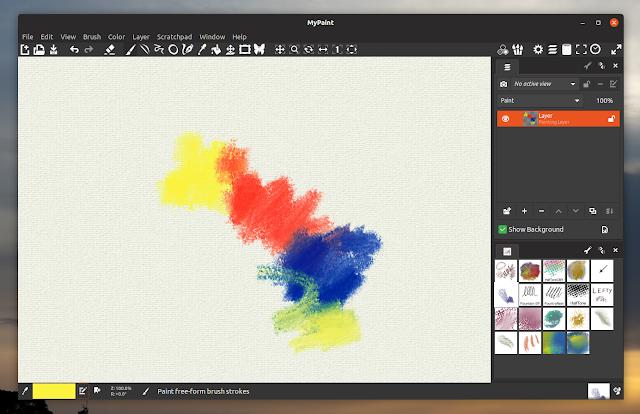 The MyPaint developers recommend using this brush pack "to see many new features in action". The downloads page offers Linux (AppImage) and Windows binaries. To run the AppImage on any Linux distribution, make it executable (right click it, select Properties, then check the Allow executing file as program or similar box), and run it by simply double clicking it.